Alumna Monica Wallace, a Chicago lawyer, told honors students Wednesday to stay open to new ideas and evaluate their resume and interviewing strategies so they stand out in the crowd. By staying open-minded, Wallace ended up becoming a lawyer. 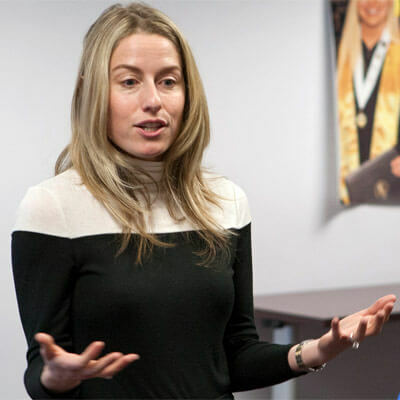 Although she initially wasn’t interested in the profession, she decided to give law school a try after an NIU professor suggested that she’d make a great one. After earning a bachelor’s degree in business administration in 2002 from NIU, she simultaneously received a master’s degree in health administration and a juris doctor in 2006 from the University of Iowa. She is now a partner with the law firm McDermott Will & Emery in Chicago and focuses her practice on regulatory and transactional counseling to health care providers. 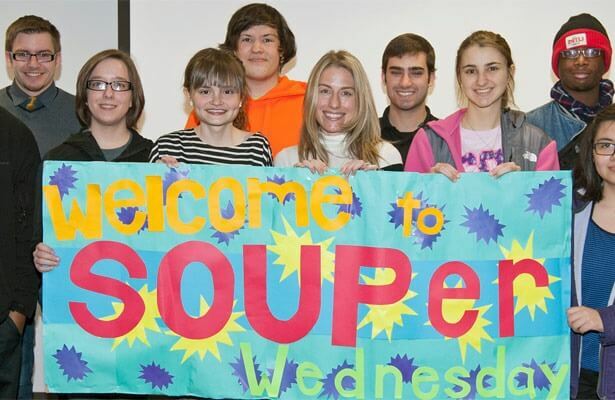 She told honors students during Souper Wednesday to get involved in several extracurricular activities, including community service and leadership roles, to be well-rounded and improve their resume. When getting letters of recommendation, she said, know your references well and give them your resume to help them write a recommendation. She also suggested asking for internships or job shadowing opportunities to build networking sources and experience. “Keep in touch with those people you meet because you never know if someone’s going to hire you down the road,” said Wallace, who serves on the board of directors of the NIU Alumni Association. During college, Wallace worked as a graduate assistant to the director and CEO of the University of Iowa Hospitals and Clinics, where she helped executive management with academic issues. Before an interview, research the company and get some background on the interviewers, such as what their job entails and what they majored in. “I’ve never hired someone that didn’t know who I was when they walked in the door,” Wallace said. She also discussed interviewing skills to get students to think about what they already know or need to work on: Making a good impression includes showing confidence, establishing rapport with the interviewer, dressing professionally, offering information about themselves without being asked and posing a couple of questions to the employer.